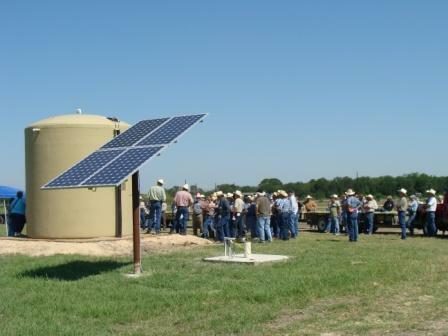 One of the most cost effective uses for photovoltaic (PV) energy is powering water pumps. It is simple, reliable and needs little maintenance. It can provide service life similar to a conventional electric system. This well is 200 feet deep; the static water level is 38 feet and the pump is set at 80 feet. 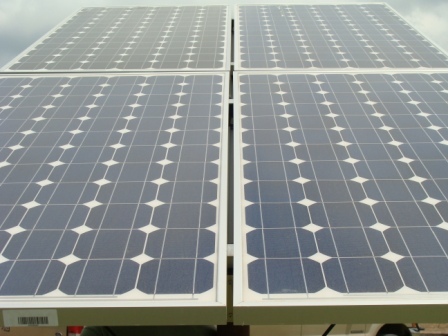 Four 175 watt PV panels are hooked together in series to provide 700 watts of power during peak sunlight hours. With the pump being used, this system will produce 23 gallons per minute of open flow output. 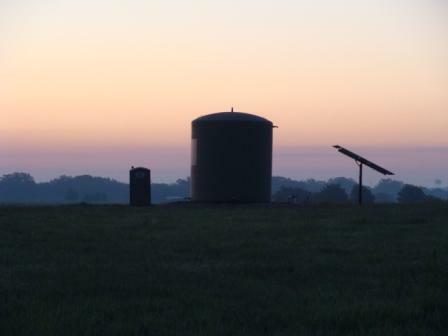 Water pumped from the well flows into the holding tank to provide storage for several days. 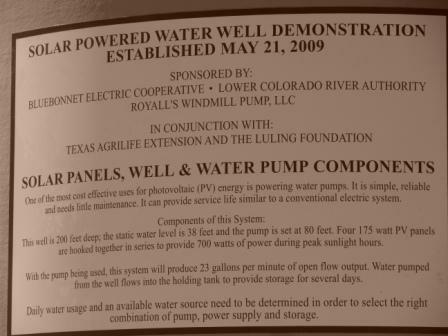 Daily water usage and an available water source needs to be determined in order to select the right combination of pump, power supply and storage.